Snowman Ornament Espresso Kit 662 from Happy Hollow Designs. This darling Snowman ornament will look wonderful on your tree. Great as gifts, party favors or make for family members. 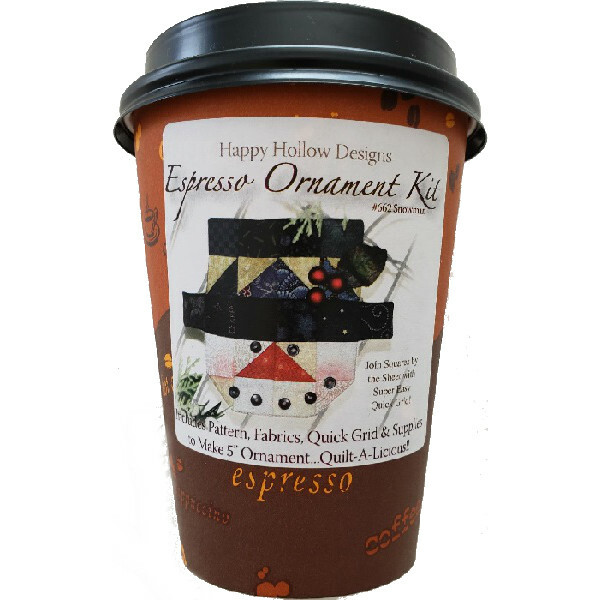 Kit is packaged in a take-out espresso cup. 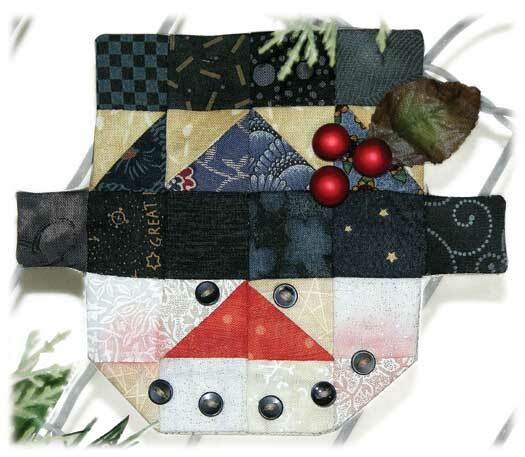 Designed by Tammy Carlson, includes pattern, fabrics for the top and backing, fusible quick grid, and all the embellishments for one 5" wide ornament.